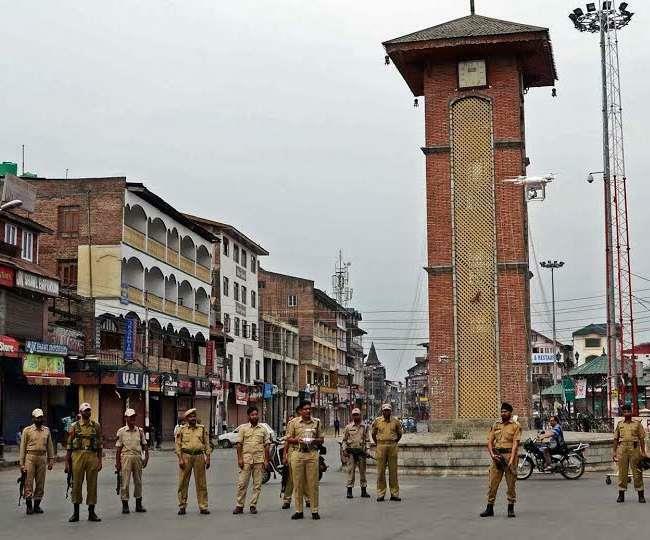 Srinagar, Aug 14 (KNS): Chaos witnessed in commercial Hub Lal Chowk after three non-local youth attempted to hoist the tricolour near Gantaghar (clock tower) here. Local sources said that the three non-local youth attempted to hoist tricolour at Gantaghar here in this afternoon. They said that the people present there came nearer to them and thrashed them during which Central Reserve Police Force (CRPF) personnel reached the spot and rescued the trio who tried to hoist the flag there. The local sources said that the people also raised pro-freedom slogans during the incident. They said that the police later detained the trio who attempted to hoist the tricolour in the commercial Hub today.